Peter practices intellectual property law at Carlson Caspers with a focus on patent and trademark litigation. Among recent matters, Peter helped defend and negotiate a favorable settlement for a pharmaceutical client named in a patent infringement lawsuit involving drugs to treat cancer, and represented a telecommunications company in a dispute involving WLAN technology. Peter also serves on the team that is helping recoup assets and litigate issues on behalf of defrauded investors in a $190 million Ponzi scheme. In addition to his focus on pharmaceuticals and telecommunications, Peter has represented manufacturers and distributors of nutraceuticals and medical devices. Peter is a regular contributor to the firm’s ANDA Advisors Paragraph IV Litigation Blog, available at www.andaadvisors.com, which focuses on issues arising under the Hatch-Waxman Act. Peter has also authored and co-authored articles on topics including patentable subject matter and regulatory structures for nanotechnology, and served as Managing/Research Editor of the Minnesota Law Review. While in law school, Peter spent a semester studying in Dublin, Ireland, where he focused on international law and comparative civil and common law systems. Peter also served as a judicial extern for the Honorable John R. Tunheim of the U.S. District Court for the District of Minnesota. As an engineering student at the University of Wisconsin, Peter worked for several years in a research lab focused on nanotechnology, with an emphasis on the mechanical properties of carbon nanotubes and their practical application in the manufacture of strong, light and stress-resistant materials for automobile and aircraft parts and other products. Peter also worked as a co-op engineer for United Space Alliance, a NASA contractor that provided operations support for the International Space Station, Space Shuttle and related programs. 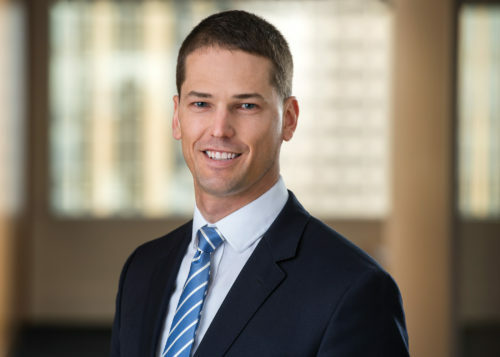 Based on his professional achievements and peer recognition, Peter has been featured by Thomson Reuters Super Lawyers Magazine as a “Rising Star” since 2014. Peter M. Kohlhepp, Note, “When the Invention is an Inventor: Revitalizing Patentable Subject Matter to Exclude Unpredictable Processes,” 93 Minnesota Law Review 779 (2008). Susan M. Wolf, Rishi Gupta, and Peter Kohlhepp, “Gene Therapy Oversight: Lessons for Nanobiotechnology,” 37 Journal of Law, Medicine & Ethics 659 (2009).